Find luxurious apartment and townhome living in Mesa, AZ, at the juncture of West Baseline and Alma School Road, near I-10, the 60, and the 101 Freeways. Waterford Place Apartments offers one bedroom apartments and two bedroom townhomes in dynamic Mesa. Southwestern elegance meets resort-style living with glorious landscaping, spacious floor plans, and deluxe amenities. Our pristine pool and spa glisten in the Arizona sun. Inside our clubhouse, you’ll find a well-equipped fitness center, along with a game room for billiards or a friendly game of table tennis. While it may feel like you’re away from it all at Waterford Place Apartments, we are a short commute to major employers. Life is not all work and no play in Mesa, AZ. There’s plenty of opportunities for entertainment and outdoor fun. Nearby Golfland Sunsplash is a fun place to take the kids. Catch Cubby spring training at Hohokam Stadium. Marvel at the giraffes at the Phoenix Zoo. Swing a nine iron at Dobson Ranch Golf Course or any of the dozens of world-class greens close by. Or lace up your hiking boots and head for Beverly Canyon Trailhead. 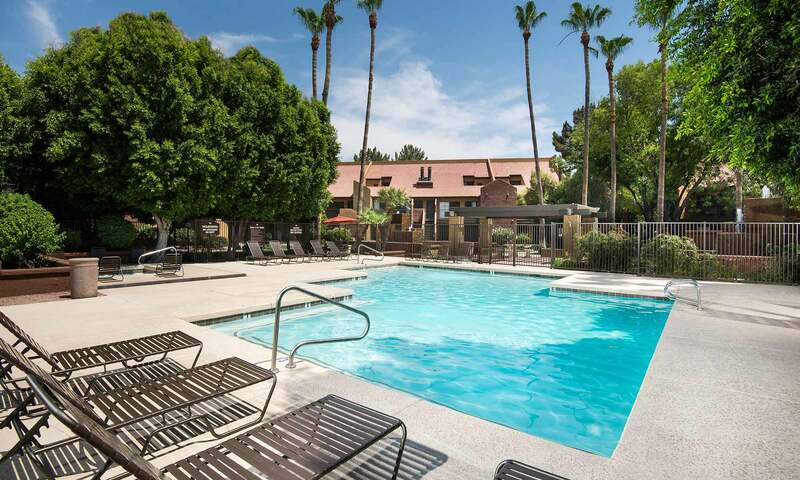 The fun never ends in Mesa, and at Waterford Place Apartments, it’s all within reach. 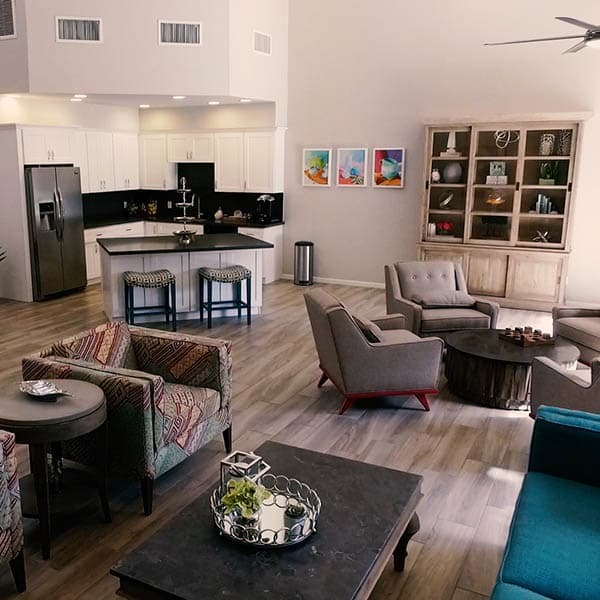 Discerning apartment seekers will appreciate the attention to design and detail in our apartments and townhomes for rent in Mesa. There’s room to spread out with large bedrooms and generous walk-in closets. Select homes feature airy vaulted ceilings and cozy fireplaces for chilly desert evenings. Open gourmet kitchens are beautifully equipped with full-size appliances. You’ll love the convenience of an in-unit washer and dryer come laundry day. The natural southwestern landscape provides a magnificent backdrop to the modern, energetic atmosphere of Mesa, AZ. The city offers something for everyone. Shop the popular stores at Fiesta Mall, tour the Mesa Historical Museum or get your hands dirty at the interactive art exhibits at the i.d.e.a Museum. The Nile Theater and the Mesa Amphitheatre offer an unforgettable experience. Of course, you can always opt for a world-class round of golf at Shalimar Country Club. 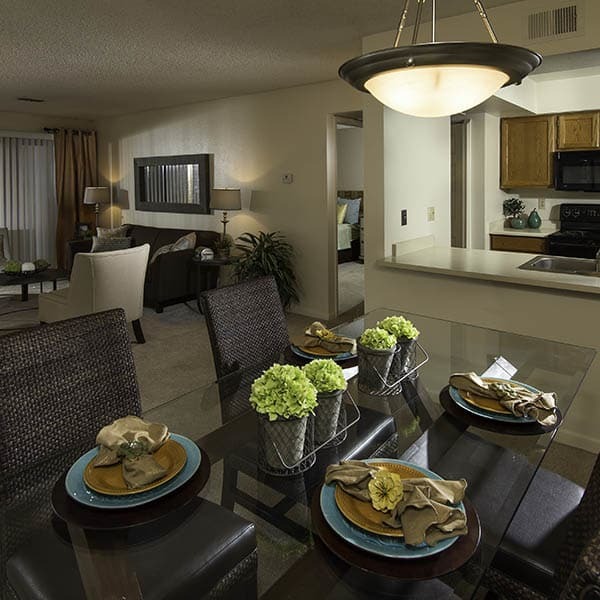 Say yes to upscale apartment living in Mesa, AZ. We’d be delighted to give you the grand tour of Waterford Place Apartments.